This new text for Art Fundamentals courses introduces students to the elements of design in a unique and contemporary context. Launching the Imagination is the only text that explains the practical substance of 2-, 3-, and 4D (or time-based) design. Add to this ground-breaking coverage a detailed discussion of the creative process and you have the first fundamentals text completely written and developed for the 21st century.The parts are color coded in Launching as follows: Part 1 (2D) = Red Border, Part 2 = Green Border, Part 3 (3D) = Blue Border, and Part 4 (4D) = Purple Border. Also, Launching the Imagination is available in a 2D (Parts 1 and 2) version as well as a 3D (Parts 2 and 3) version. 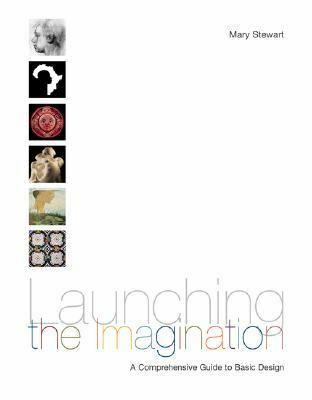 The 4D coverage is only available in the comprehensive text.Stewart, Mary is the author of 'Launching the Imagination A Comprehensive Guide to Basic Design' with ISBN 9780072485400 and ISBN 007248540X.